Small, portable and powerful TENS devices from Omron offer drug-free pain relief for sore or aching muscles of the lower back, shoulder, arm, leg and more. Easy to use solutions for stiff, achy muscles. Find replacement pads for Omron TENS units. Omron TENS units target different levels of pain intensity and affected areas of the body. Wireless and Bluetooth technology combine pain relief with convenient options to fit your lifestyle. 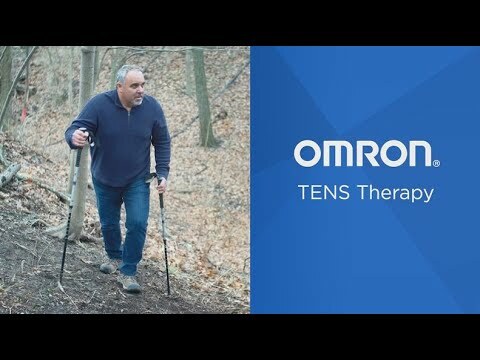 Supporting Omron mobile apps and rechargeable batteries make TENS relief portable for busy people, active lives and flexibility for everyday use at home. How does a TENS device work? The gentle electrical pulses move through the skin to nearby nerves to block or shut out the pain signal from the source of the pain from ever reaching the brain. The gentle electrical pulses increase the production of the body’s natural pain killer, such as endorphins. The electrical stimulation improves blood circulation as well. Muscles contract and relax with the flow of the electrical stimulation. With repeated contracting and relaxing, the blood flows in and out and the blood circulation is improved. 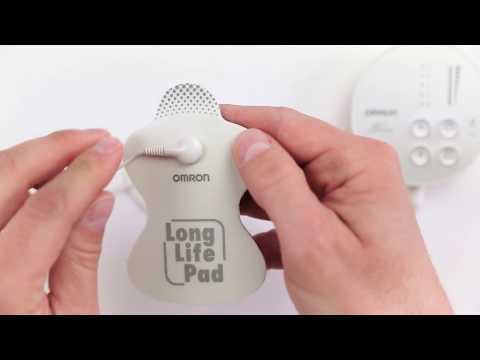 Omron TENS devices relieve sore, stiff and achy joints and muscles without medication. Stock up on Omron TENS replacement pads. Depending on the product, pads are lab tested for up to 30 to 150 uses. If you are unsure when to replace TENS pads, see the TENS Pad Refill Product Guide for more Information. Make the most out of your devices with Omron apps. They make it easy to control your TENS devices and include features that allow you to track the location and intensity of your pain as well as save your favorite treatment sessions for future use. TENS stands for Transcutaneous Electrical Nerve Stimulation. Understanding a little about how it works will help you get the most out of your Omron TENS unit.